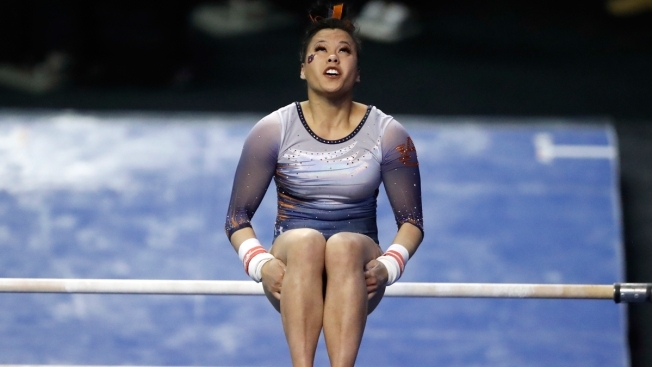 The athlete said Friday night was her "final night as a gymnast"
In this April 20, 2018, file photo, Auburn's Samantha Cerio competes on the uneven parallel bars during the NCAA college women's gymnastics championships in St. Louis. A college gymnast is asking social media to stop sharing the video of her devastating leg injuries because "my pain is not your entertainment." The athlete posted on Instagram that the meet was her "final night as a gymnast."